Hanoi (VNA) – Vietnam and Malaysia recorded two-way trade of nearly 2.27 billion USD in the first quarter of 2017, a year-on-year increase of 39.7 percent, according to the Vietnamese Trade Office in Malaysia. 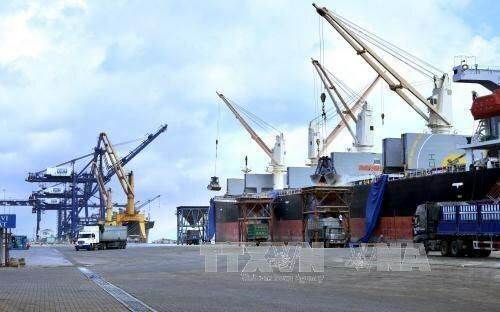 Vietnam exported 978.7 million USD worth of goods to Malaysia, up 49.6 percent, and imported 1.29 billion USD from the market, up 33 percent against the same period last year. In January-March, Vietnam exported numerous high value commodities to Malaysia such as computers, electronic products and spare parts (367.2 million USD), and mobile phones and components (112.6 million USD). Other staples include iron and steel (58.63 million USD), machines and equipment (43.07 million USD), glass and glass products (41.36 million USD), vehicles and spare parts (35.74 million USD), crude oil (20.03 million USD), rubber (19.94 million USD), and seafood (19.2 million USD). The total investment of Malaysian businesses in Vietnam is estimated at more than 12 billion USD, focusing on oil and gas, real estate, trade and tourism. At a recent reception for Malaysia’s Minister of Trade and Industry Datuk Seri Mustapa Mohamed on the occasion of his visit to Vietnam, President Tran Dai Quang said Vietnam attaches great importance to developing relations with Malaysia, particularly in economics, trade and investment. The President lauded the efficiency of Malaysian projects that benefit the two countries’ businesses and contribute to Vietnam’s socio-economic development. Malaysia is the second biggest investor in Vietnam in ASEAN, with two-way trade hitting 8 billion USD in 2015. The President urged the two nations to restart meetings between the joint committee on bilateral cooperation soon to plan for the implementation of the Vietnam – Malaysia Action Programme in 2017-2019.